MONDAY, Nov. 2, 2015 (HealthDay News) -- Antibiotics may not reduce the risk of infections in patients who undergo what's known as a "complicated" appendix removal, a new study finds. "The traditional teaching is that all patients with complicated appendicitis receive post-operative antibiotics to reduce the risk of wound infection or deep organ space infection," study lead author Dennis Kim, of the Los Angeles Biomedical Research Institute, explained in an institute news release. But is that advisory warranted? To find out, Kim's team tracked five-year outcomes for 410 patients. All of the patients had complicated appendectomies, meaning that their appendix was found to be perforated or gangrenous. 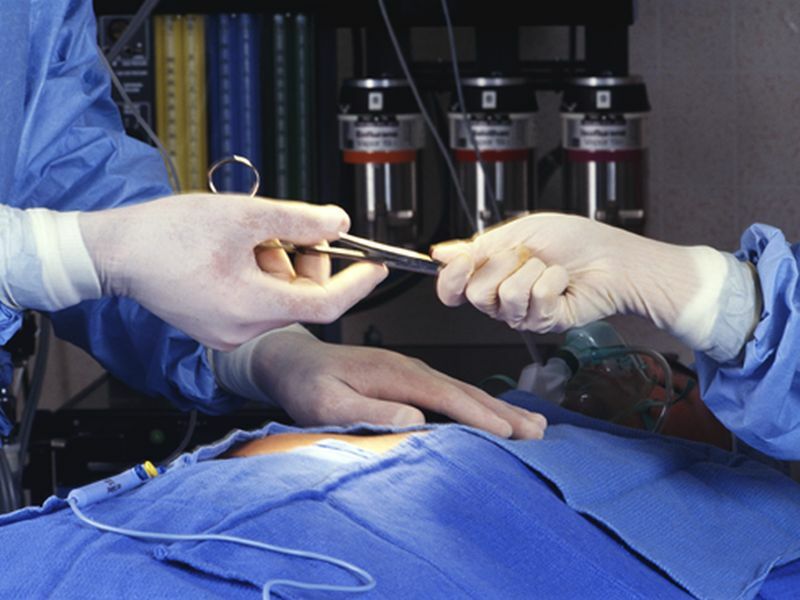 About two-thirds of the patients received antibiotics after surgery. Those who received antibiotics had no fewer infections, Kim's team said, and they stayed in hospital an average of one day longer than those who didn't receive antibiotics. The bottom line, according to Kim: "Our study indicates antibiotics may not be necessary following surgery for complicated appendicitis." He explained that "antibiotics are not without risks, costs or complications." Further study into the issue may be warranted, the researchers said. In the meantime, Kim said, "surgeons and physicians may wish to re-examine or be more selective in deciding which patients may potentially benefit from post-operative antibiotic therapy for complicated appendicitis." Acute appendicitis affects more than 250,000 people a year in the United States, and up to one-third may have complicated appendicitis, the study authors noted. "The medical profession is beginning to re-examine the role of antibiotics for treating other common acute surgical disease processes, and our study shows this re-evaluation is warranted in complicated appendectomies," Kim said. The study was published online recently in the American Journal of Surgery.